Ahead of its big press event, Samsung held a preview event at CES where it announced Bixby would be coming to its Family Hub fridge and lineup of 2018 Smart TVs. As most of you should already know, Bixby is Samsung’s digital assistant that launched on the Galaxy S8 and Galaxy S8+, but launched a little late due to multiple reported issues. In October of last year, Samsung announced Bixby 2.0, which would take Bixby beyond phones and into its entire ecosystem of smart things. As an example of something you can do with Bixby on your fridge, users can ask, “What’s new?” and get tailored responses featuring upcoming calendar events, weather information, news, and more. Now, let it be known that a Family Hub fridge is not cheap, with prices ranging from around $2,000 to nearly $4,000. It all depends on where you buy it and which model you get, just like a regular fridge. 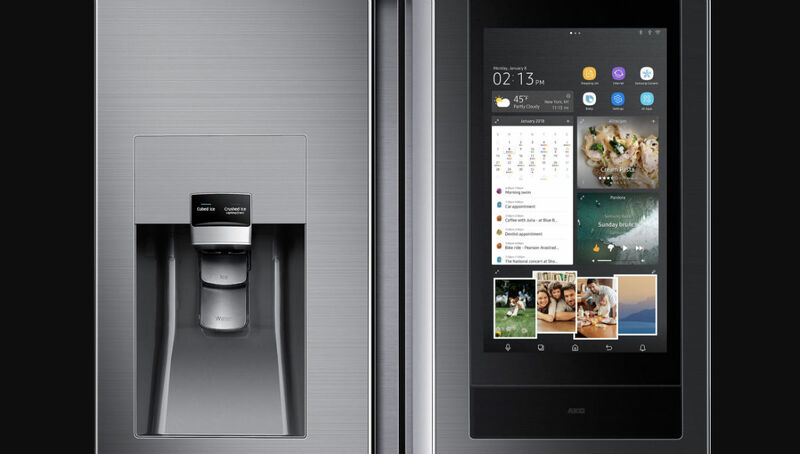 If a fridge or TV with Bixby is something you’ve been needing, 2018 is going to be a solid year for you.